I like how this turned out. I used a photo app on my iPhone. Those are very fun. The first is really cool. Had fun looking at them. I love these trees. I have some little crocheted bells on my tree that my mother made! Thanks for playing today. 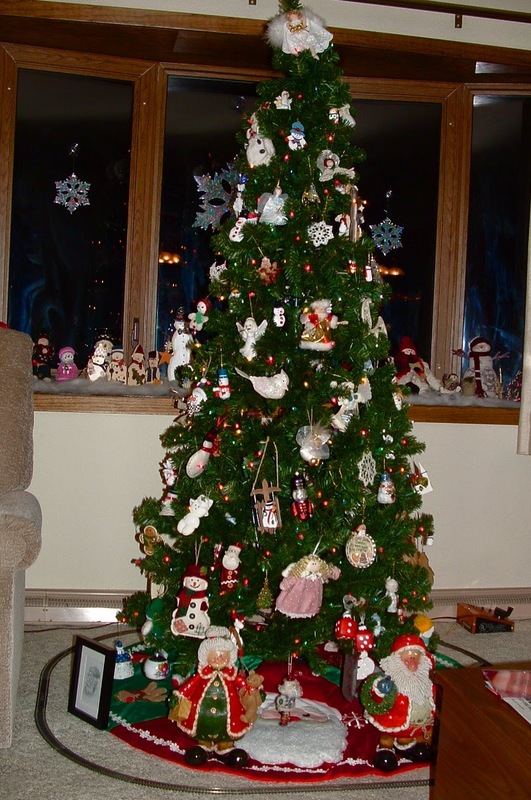 I totally love all your tree presentations and all the colors, wow! 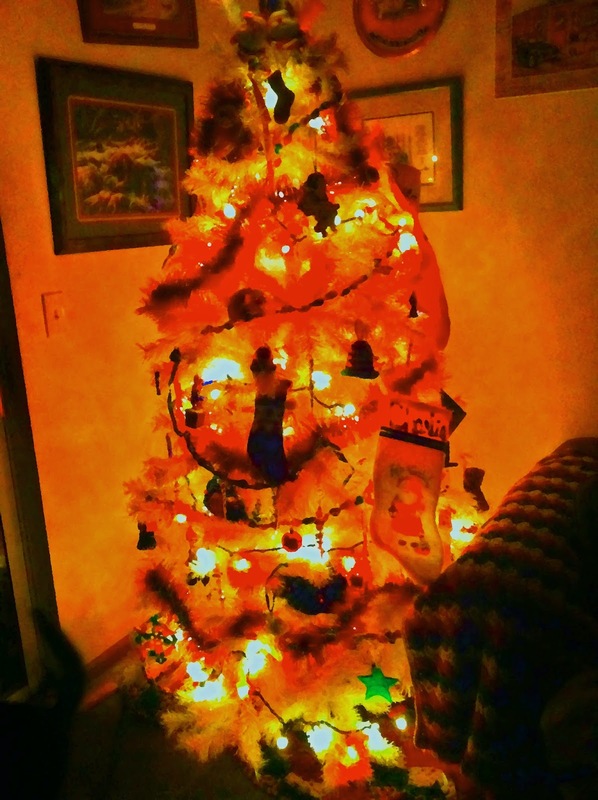 All delightful Xmas tree photos ~ love the BW shot! Love the different images - especially the first one! What a sweet and fun post! I love this share. Have a beautiful week and thanks for sharing with everyone ..
What colourful fun! The pink and the last are my favorite. 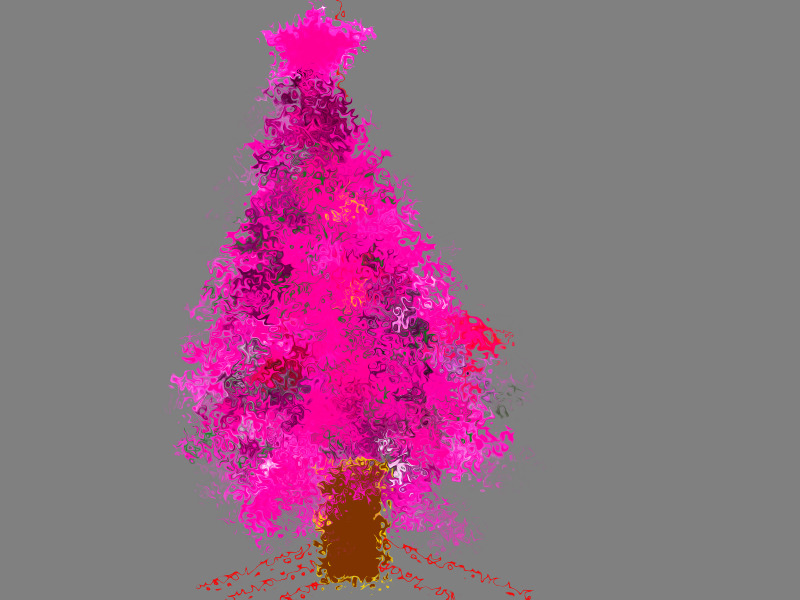 I don't like pink, but I love that tree. Stunning series... I like the orange best of course... perfect for both Mandarin Orange Monday and DAM. 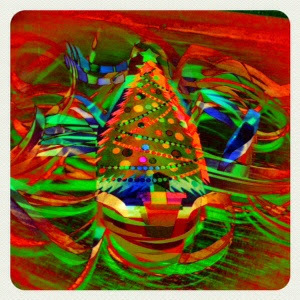 Gorgeous variety of Christmas tree images. 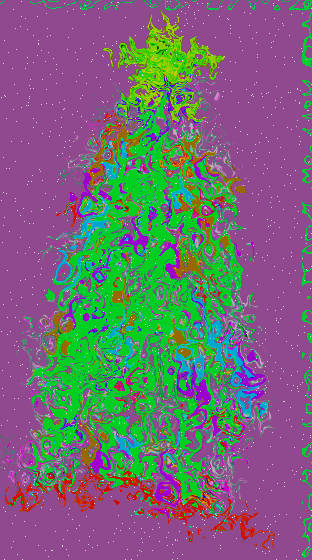 The first one beautifully captures the whirl of Christmas activity. 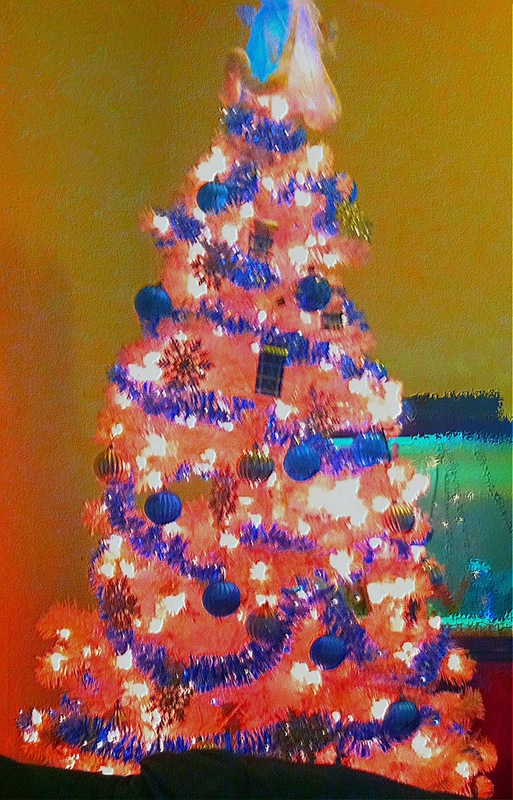 Looks like you had fun with those apps and editing :) I love the last tree with its muted but effervescent colours. Lovely alterations. They have a mystical appeal. Great serie, nice edit! I like your b&w photo! I would never have thought there were so many ways to capture Christmas trees!! !